Visit www.thegraphiccanon.wordpress.com and follow @TheGraphicCanon on Twitter for more information on the series. 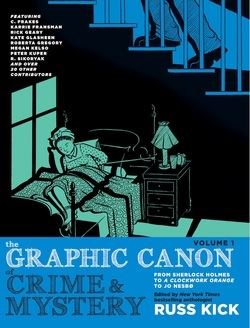 The classic literary canon of Western civilization meets the comics artists, illustrators, and other artists who have remade reading in the last years of the twentieth century and the first decade of the twenty-first century in Russ Kick's magisterial, three-volume, full-color The Graphic Canon, volumes 1, 2, and 3. Volume 1 takes us on a visual tour from the earliest literature through the end of the 1700s. Along the way, we're treated to eye-popping renditions of the human race's greatest epics: Gilgamesh, The Iliad, The Odyssey (in watercolors by Gareth Hinds), The Aeneid, Beowulf, and The Arabian Nights, plus later epics like The Divine Comedy and The Canterbury Tales (both by legendary illustrator and graphic designer Seymour Chwast), Paradise Lost, and Le Morte D'Arthur. Two of ancient Greece's greatest plays are adapted—the tragedy Medea by Euripides and Valerie Schrag's uninhibited rendering of the very bawdy comedy Lysistrata by Aristophanes (the text of which is still censored in many textbooks). Also included is Robert Crumb's rarely seen adaptation of James Boswell's London Journal, filled with philosophical debate and lowbrow debauchery. Religious literature is well-covered and well-illustrated, with the Books of Daniel and Esther from the Old Testament, Rick Geary's awe-inspiring new rendition of the Book of Revelation from the New Testament, the Tao te Ching, Rumi's Sufi poetry, Hinduism's Mahabharata, and the Mayan holy book Popol Vuh, illustrated by Roberta Gregory. The Eastern canon gets its due, with The Tale of Genji (the world's first novel, done in full-page illustrations reminiscent of Aubrey Beardsley), three poems from China's golden age of literature lovingly drawn by pioneering underground comics artist Sharon Rudahl, the Tibetan Book of the Dead, a Japanese Noh play, and other works from Asia. Two of Shakespeare's greatest plays (King Lear and A Midsummer Night's Dream) and two of his sonnets are here, as are Plato's Symposium, Gulliver's Travels, Candide, A Vindication of the Rights of Woman, Renaissance poetry of love and desire, and Don Quixote visualized by the legendary Will Eisner. Some unexpected twists in this volume include a Native American folktale, an Incan play, Sappho's poetic fragments, bawdy essays by Benjamin Franklin, the love letters of Abelard and Heloise, and the decadent French classic Dangerous Liaisons, as illustrated by Molly Crabapple. Founder of the website The Memory Hole, which archived sensitive and difficult to find official documents, RUSS KICK has devoted much of his life to digging up what others hope to keep buried. His bestselling anthologies, including You Are Being Lied To and Everything You Know Is Wrong, have sold over half a million copies. 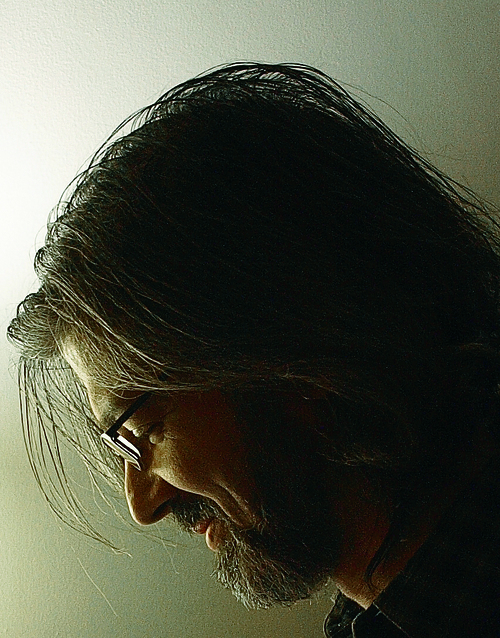 The New York Times has dubbed Kick "an information archaeologist," Details magazine described Kick as “a Renaissance man,” and Utne Reader named him one of its “50 Visionaries Who Are Changing Your World.” Russ Kick lives and works in Nashville, Tennessee, and Tucson, Arizona.